Canned dog food has become over the years the ever-increasing form of dog food to feed your pet. It is easy and conveniently packaged so you can take it on your travels without any mess or bulkiness. It also comes in so many flavours your dog is spoiled when it comes to choice. The formula added to many varieties of canned dog food often implements necessary vitamins and minerals into the dog food so that the dog receives its daily goodness while enjoying a good hearty meal full of delicious flavours and textures. The carbohydrates and proteins found in the food gives your pet the strength and stamina it needs to fulfil its busy day and fill it with bundles of energy for play time. In the form of a chewy and wet style of food compared to typical hard food, it feels more natural for your dog to eat and enjoy. Natural Balance have manufactured the potato and duck formula food for dogs to help allergy prone dogs to treat and over come their allergies, styled using a unique protein and carbohydrate formulation without grains or wheat, barley, rice or corn. Allergic reactions lead to irritable bowel syndrome, which can be triggered by additives within certain mainstream dog foods. It can give dogs an upset stomach or even result in some forms of skin problems. This product has used the effective and all natural ingredients to help rebuild your dog’s immune system without upsetting their body’s balance, in a great flavour too of duck and potato. 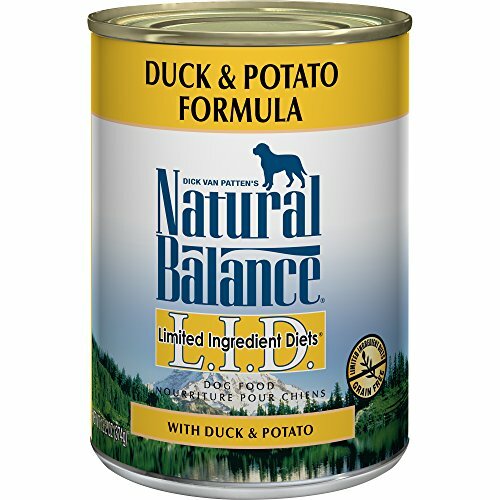 The canned product is great as part of a balanced diet and can be used well in addition to the Natural Balance potato and duck dry formula which is in the biscuit style, to provide dogs that suffer with allergies a completely allergen free diet and prevents them from contracting any upset stomachs of unnecessary health problems in the future. 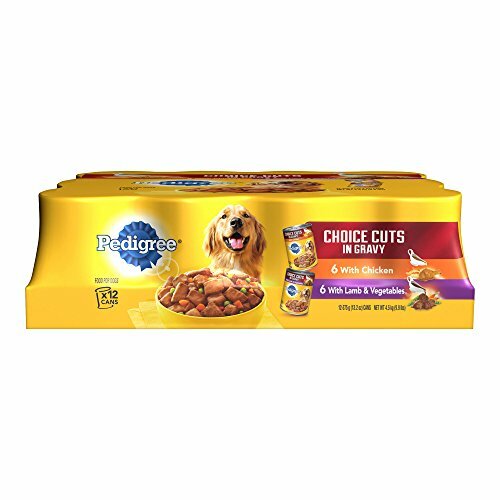 Pedigree is a well-known and loved brand of dog food and they have another tasty and enticing variety to add to the collection for your dog. Great tasting chicken or lamb with vegetables flavour that your dog will love and enjoy. The chunks of meat are coated in a scrumptious and thick gravy sauce making for a much fuller and richer meal. 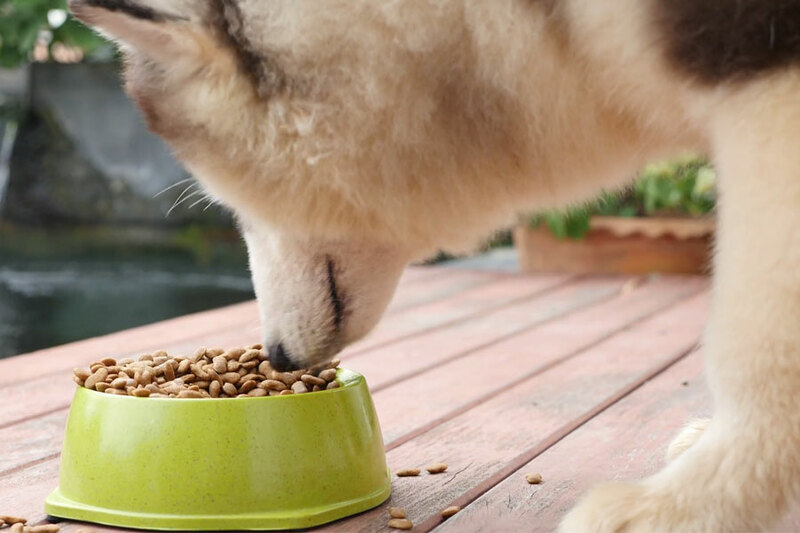 Hidden within this delicious feast for your dog are also the much-needed nutrients that pedigree have made easy to digest through the soluble and easily absorbed ingredients. All this as well as a high level of minerals and oils that will give your dog healthy skin and a beautiful shiny fur coat. As the canned dog food comes in a large pack of 24, the selection has been made varied so that your dog can enjoy both flavours while having a balanced and healthy diet. Iams canned recipes allow your pet to have the taste and nutrition all wrapped up in one can with the palate of a homemade meal, good enough to eat. The chunks of meat are tender beef mixed in with vegetables that are simmered in a deep and rich gravy. Made with a real broth every single bite is healthy and irresistible for your dog. It will genuinely enjoy every mouthful and you can be reassured that your pet is getting all its vitamins and goodness it needs to grow healthy and strong. 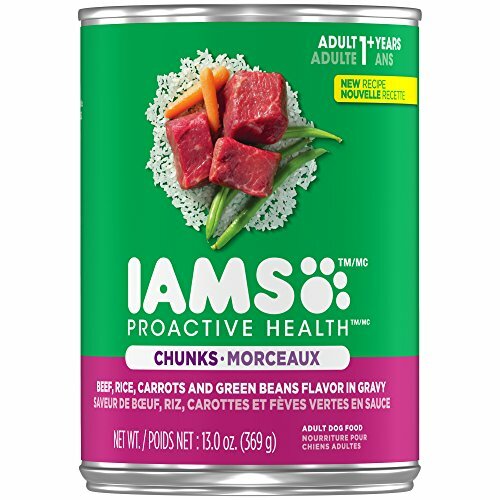 Iams make all their products with natural ingredients that are slow cooked in real broth and then add in the vitamins and minerals to be absorbed in the meat and vegetables making them easy to digest. Omega 6-3 provides your dog with the right balance to give them a shiny coat of fur as well as a good source of care for their skin too.